More Laundry in the snow. The photo is more interesting than it looks. The interesting part is that this photo was taken on a Sunday just after the snowfall on Saturday. Normally, all laundry is off the line by Saturday night, however due to the snow I think they forgot to take these dresses off the line. So there they were. 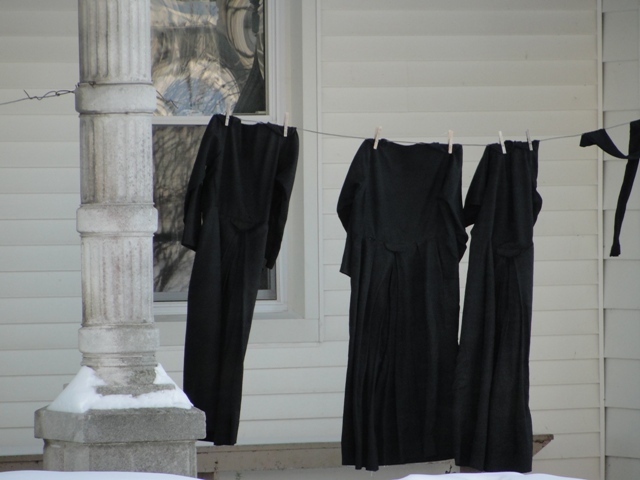 Amish dresses still on the line on a Sunday! You don’t see that everyday! Interesting isn’t it? Yeah, only to me, right?